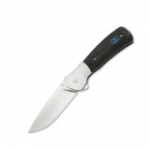 Buck Knives is one of the world’s foremost companies producing high-quality knives. In 1902, Hoyt Buck, who was a young apprentice in blacksmith’s shop, made his first knife. For over three decades, Hoyt Buck had been making knives using worn-out file blades as raw material. His knives were easy to grab and used for a wide range of tasks. As Hoyt Buck got the knack of creating knives, he decided to set up a shop with his son, Al. The company was founded in 1941 and named H.H. Buck and Son. However, the Bucks hadn’t been in great demand for a long time. Even though they were very talented, people still saw them as artisans. After Hoyt Buck died in 1949, Al Buck headed the company. He’d been working to the bone for 10 years to climb to success. 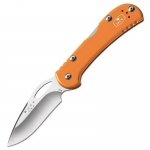 In 1961, Al Buck rebranded the company as Bunk Knives Inc. and acquired modern equipment. In two years, Al Buck designed and implemented the Model 110 Folding Hunter that became a legend and classic in the knife industry. 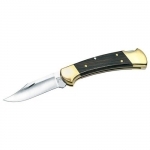 Al Buck developed back locking mechanism that made Buck 110 so popular at that time as folding knives didn’t have any locks. For the first years of the production of Buck 110, the company sold over 100,000 copies of the knife. Having sold tens of millions of Buck 110 around the world, Buck has become a pioneer and revolutionary in the knife industry. 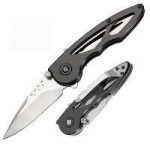 Buck Everyday Carry (EDC): folding pocket knives for everyday use. 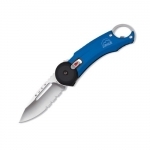 Buck Outdoor: knives for camping and field kitchen. 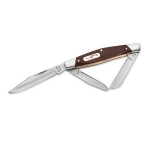 Buck Hunting/Fishing: knives for hunting and fishing. 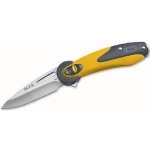 Buck Tactical: tactical and survival knives. 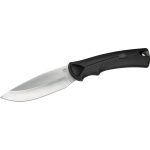 Buck utilizes up-to-date equipment for working with top-end materials, practices cryogenic tempering of knives, and uses advanced kinds of steel, including powdered steel. Since 1993, the company has used their own 420HD stainless steel, which is different from 420HD steel used by any other company. 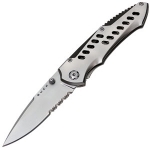 The producer implements modern manufacturing techniques to provide all Buck knives with improved corrosion resistance and superior sharpness, creating masterpieces popular in the whole world. 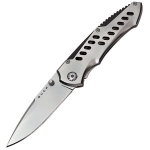 Below is a chart showing the best Buck knives on the site as reviewed by multiple users. 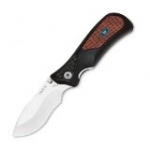 Keep in mind that there are many great Buck knives out there, but if you can't decide on one after searching the site, choose one off this list and we are confident that you will be happy!